Hispanic writers, broadcasters and photojournalists who belong to the National Association of Hispanic Journalists (NAHJ) were happy to hear that Continental Airlines continues to support their efforts. Continental Airlines announced today that they have renewed their partnership as the office airline for the NAHJ special events. With a hub located in Cleveland, photojournalists have an easy time catching flights to any of the 71 destinations Continental flies to in Latin America and the Caribbean. With daily flights out of Cleveland Hopkins Airport, destinations in that area are very easy to reach – some with non-stop flights. 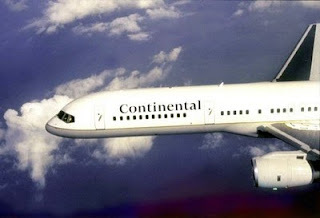 According to Continental’s press release today, “Continental Airlines is proud to support the NAHJ's efforts to provide professional and career opportunities to the nation's Hispanic journalists," said John Slater, staff vice president, Latin America and the Caribbean, Continental Airlines. "We applaud the NAHJ's advocacy of fair, accurate and balanced coverage of the Latino population." The partnership will create special opportunities for the photographers, journalists, broadcasters and online media personnel to reach their three special events this year: a scholarship banquet in New York on March 18, a multimedia convention and career expo on June 23-26 in Denver and the 25th awards gala in Washington, DC during September.